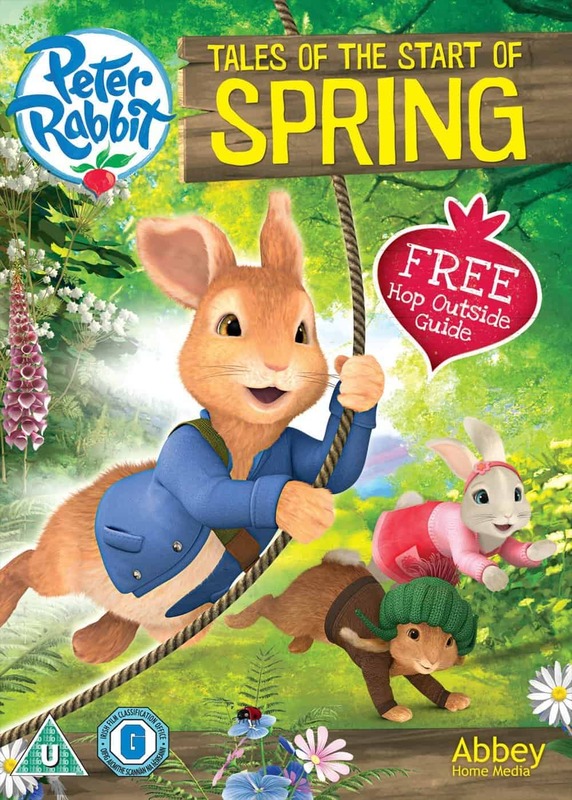 Peter Rabbit – The Tale of the Great Breakout is the latest Peter Rabbit DVD to be released by Abbey Home Media. With six episodes to watch lasting 70 minutes in total, there are plenty of adventures for little ones to watch. So what did we think of it? Well my 5yr old just loves Peter Rabbit and sat there glued to the DVD! His favourite scene was when Peter was stealing the radishes and his favourite character is Lily, because she always finds something in her pocket to help them out. This is a lovely series that I know I would have watched when I was younger and brings back some of the Beatrix Potter memories I had reading her books. The DVD is sure to be a hit with young ones as they watch the adventures of Peter Rabbit and friends which is full of excitement, fun and friendship. Willows Activity Farm in St. Albans is thrilled to be opening a brand new, one of a kind, Peter Rabbit Adventure Playground on 2nd April 2016. The new area features activities themed around the world-famous and much-loved stars of the animated CBeebies series, including Peter Rabbit Secret Treehouse, built around a 100 year old ash tree, and Benjamin Bunny Treetop Adventures, where children can climb and play. Find acres of adventure based on your favourite characters including Mrs Tiggy-winkle Kitchen, Jemima Puddle-duck Coop and Jeremy Fisher Music Pond. Visitors can spend time finding their way through the Garden Maze and exploring the Mr. McGregor Shed before enjoying a delicious lunch at the Peter Rabbit Burrow Cafe. Peter Rabbit and Lily Bobtail will be appearing in live shows in the Peter Rabbit theatre with daily meet and greet sessions with Peter. The Peter Rabbit Adventure Playground is part of a full family fun day out at Willows Activity Farm including farmyard animals, Tristan the Runaway Tractor, funfair rides, adventure play with all-weather indoor play too. Located in London Colney, St Albans, just off junction 22 of the M25, free car parking. This looks like a fabulous place to take young children and if I am ever up around that way I’d love to take my two for a wonderful day out. As well as entering to win tickets below, don’t forget I have other Beatrix Potter giveaways running to win a family ticket to the World of Beatrix Potter worth £20 and a Peter Rabbit baby bundle worth £48! 4 individual tickets are being offered as a family ticket prize. These can be used for adult or child admissions (Child entry £19.50, Adult entry £18.50) so value for 2 adults and 2 children £76 (note for future info discounts up to 25% are available online when purchasing in advance). The ticket can be used anytime from 2nd April 2016. 1. The free admission voucher admits one free adult or one free child to Willows Activity Farm (excludes Santa’s Grotto event). 2. There is no alternative prize or cash alternative. 3. Visitors are responsible for the cost of their own transport to Willows Activity Farm. 3. Under 2’s are free. Peter Rabbit Tales of the Start of Spring due to be released by Abbey Media on 30th March brings together 8 fabulous episode of the hit tv series including a special 22 minute episode of The Tale of the Start of Spring. Altogether 108 minutes of entertainment that your little ones will love. Peter Rabbit is fondly remembered from my childhood and I’m amazed how much my children love the series that is currently shown on tv, with no prompt from me, but one they will always sit down to watch. One of the new characters Lily Bobtail is their favourite as she always manages to find something useful in her pocket. This dvd didn’t disappoint and they have watched it several times over already! Join Peter and his two bosom buddies; Benjamin and Lily, on their whimsical adventures through timeless Lake District. Peter encounters real dangers, and he and his loyal friends and family must use their wits to outsmart incompetent villains whose barks are way worse than their bites. Peter is a 6-year-old rabbit who lives with his mother underneath a huge fir tree in a hidden burrow. He misses his late father and desperately wants to grow up to be just like him. Armed with his father’s journal, which is basically a guide to everything one needs to become a truly wild rabbit, and aided and abetted by his two best friends, Benjamin and Lily, Peter sets off to make his own mark in life. 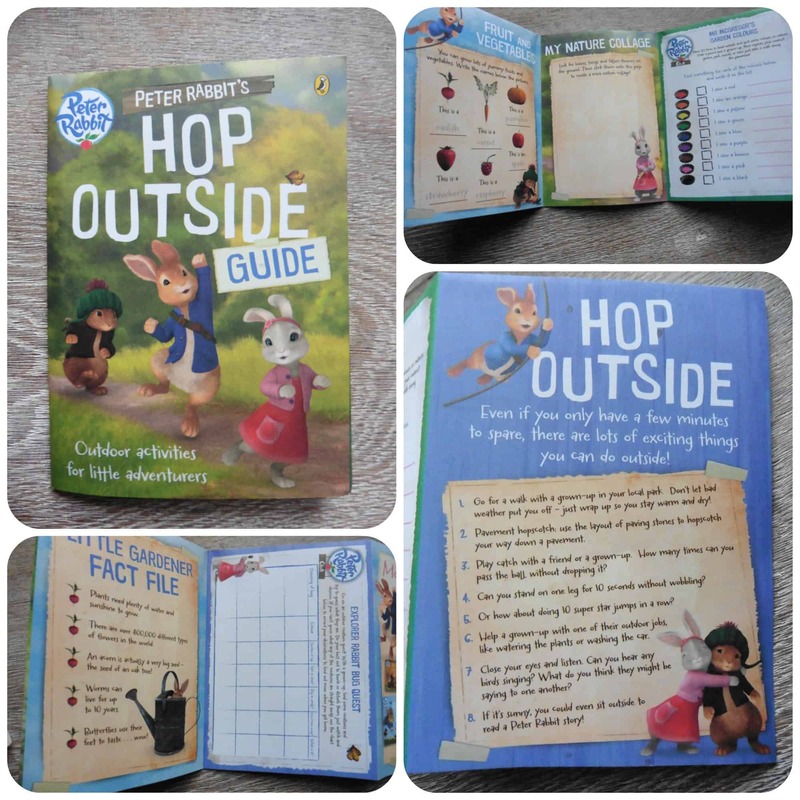 Also included in the dvd is a little Hop Outside guide with lots of little fun activities to find, do and look out for in the great outdoors. All reviews are my own and my families opinions and I received a Peter Rabbit dvd in order to write the review.